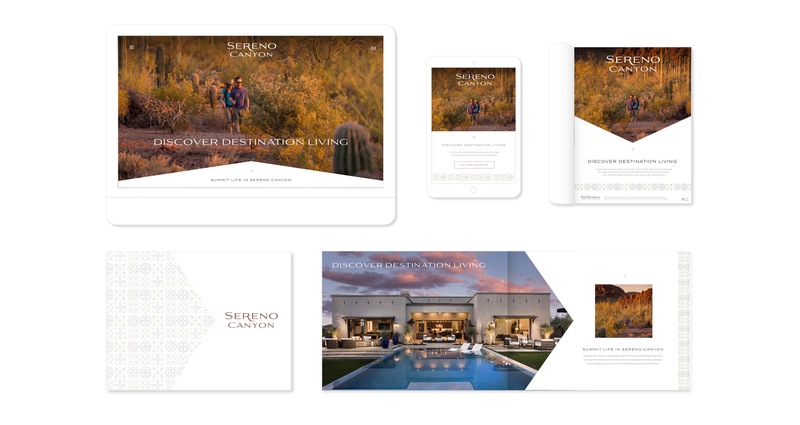 Identity design for a modern community in Scottsdale, Arizona. 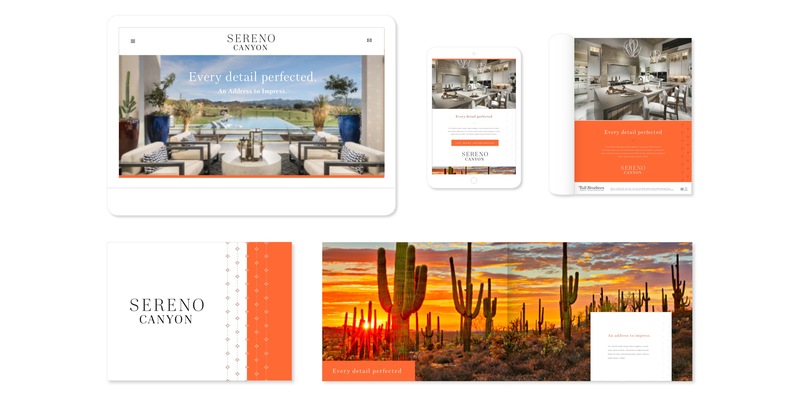 All three presented concepts play to the open peacefulness of the location along the with the exquisite details of the home designs themselves. 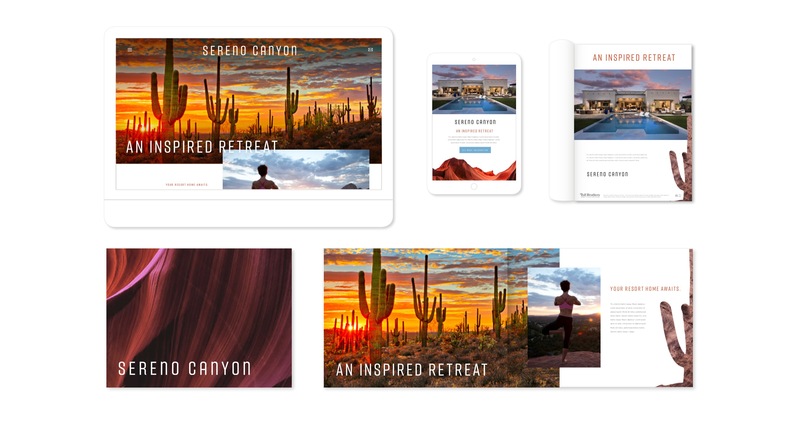 Each concept was framed through different buyer profiles to really cater to what mattered most to that specific segment: impressions of details, relaxation/restoration, and destination living/social life. The approved concept was the minimal contemporary approach using macro photography in outlines of natural objects. The condensed uppercase logotype was also minimal take on the forms of canyons and the saguro.